Miss China PR (Yu Wenxia) was crowned Miss World 2012. The 62nd edition of the Miss World pageant was held on August 18, 2012 (Saturday) in Dongsheng Fitness Center Stadium, Ordos, Inner Mongolia, China. There were 116 contestants who vied for the coveted crown from all over the world, marking the biggest turnout in the pageant's history. This is the second time Miss China clinched the Miss World title after Zhang Zilin who won in 2007. First Runner-up went to Miss Wales (Sophie Moulds) and Second Runner-up to Miss Australia (Jessica Kahawaty). Miss Philippines (Queenierich Rehman) made it only in the Top 15. But she won a special award in the World Fashion Designer Dress category. First time to join Miss World were three (3) countries: Equatorial Guinea, Gabon, South Sudan. And South Sudan made it far in Top 7. The following were nine (9) countries who withdrew participation: Cayman Islands, Egypt, Ghana, Kyrgyzstan, Liberia, Moldova, Namibia, Romania, St. Barthelem. 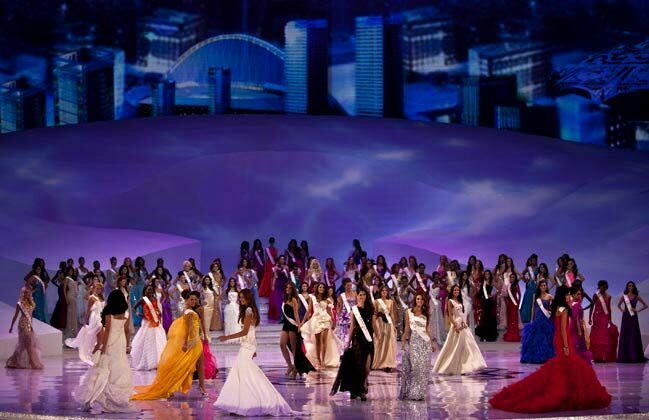 The following were nine (9) countries who returned to participate in the pageant after their absence in the past years: Angola, Ethiopia, Fiji, Guyana, Macau China, Malawi, St. Kitts & Nevis, Seychelles, Suriname.